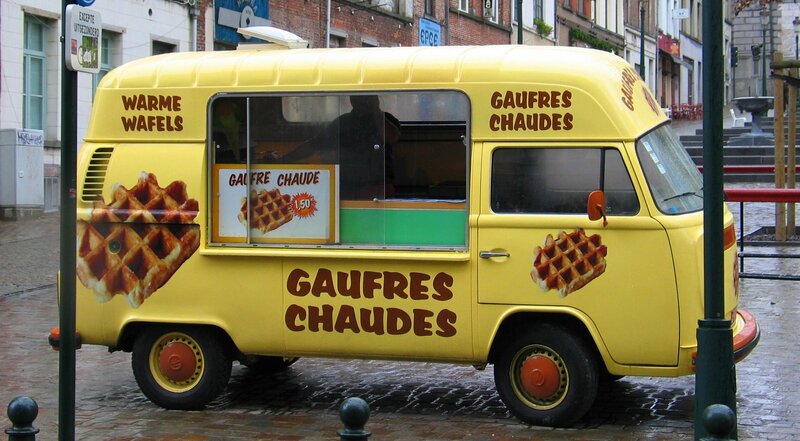 The entire city of Brussels smells like waffles and chocolate. Mmm. I was in serious sweet overload after I was there last weekend for a friend’s birthday. Swore up and down I’d never eat chocolate again. I lied. Brussels has a reputation of being a terribly boring city. I completely disagree. While it may lack the tourist attractions that draw people to other parts of Europe, it is a truly fun city. It reminds me of DC in a lot of ways – it has a very transient, international population, many drawn there because of work in the corporate headquarters, EC offices, UN commissions and the like that the city houses. It seems like it would be fairly easy to meet and become part of a community there – everyone is from somewhere else. I literally got on a plane, and only then asked myself ‘what is there to do in Brussles?’ I knew nothing about the city. 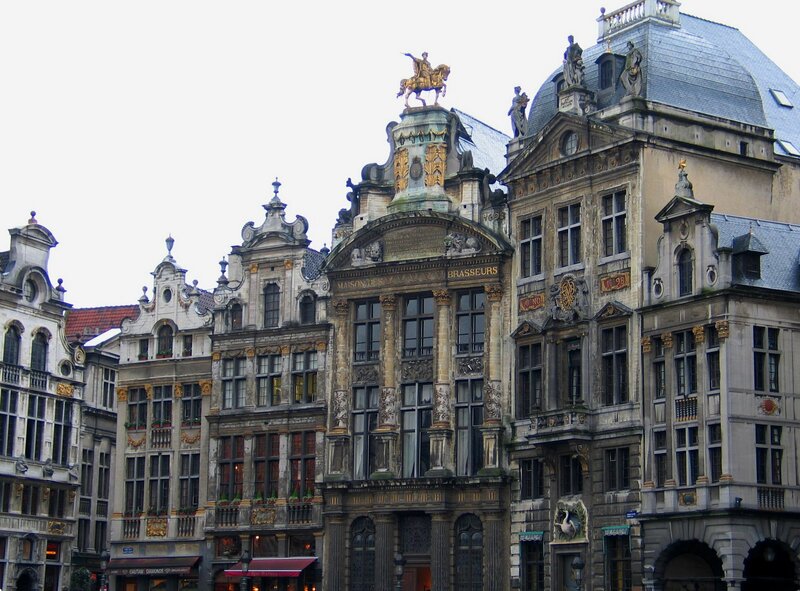 Did you know Brussels is the home to the Art Nouveau movement? My fav, by far. Despite the soggy weather, I was in heaven just wandering around looking at the fantastic architecture. We literally ate our way through the city. I haven’t been in such good restaurants, cafes and bars for quite awhile. Its amazing what a good exchange rate can do for your social life…it was amazing not to wince every time I saw a menu. God bless the Euro. I would be the size of a house if I lived there. My friend who I was there with is a Development person, too, and shares a love of markets and the more colorful side of cities. We wandered around the part of town that’s home to the huge Congolese diaspora, where you can find all sorts of bizarre looking vegetables, wax cloths and hair weave shops. We also traipsed through the Moroccan market, which is where I would go to get all my fruits and veg and things, it looked so fresh and was cheap as chips. As I expected, my French is still pretty miserable. I understand everything, but speaking…another story. It didn’t help that I actually spoke Spanish more than anything else most of the weekend. 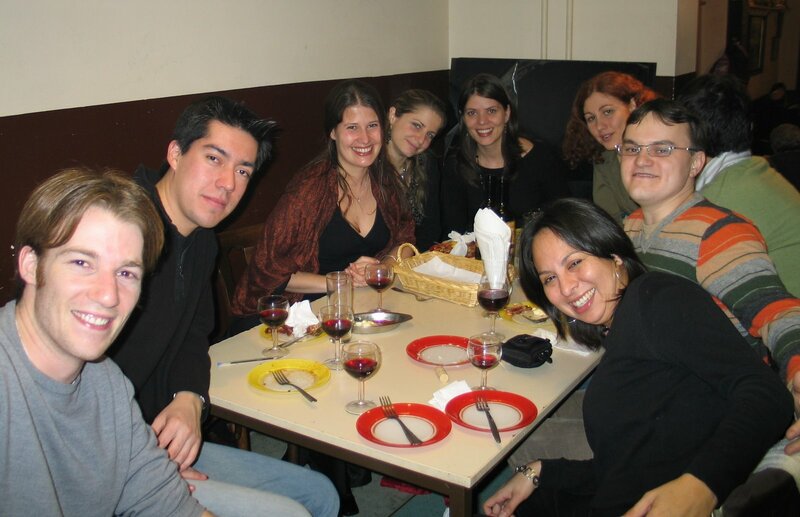 We went to an amazing tapas place one night, a Mexican restaurant another, and there are tons of Spaniard/Latinos around. Who’d have thought? This entry was posted in Absence makes the home grow fonder, Brighton by jlgeib. Bookmark the permalink.